Charice Pempengco, the former Glee actress and Filipino singer who rose to popularity through her Youtube videos, has just revealed that she is a lesbian. This news comes after months of speculation about Charice’s sexual orientation, and Charice herself reveals that it’s a relief to finally be able to come out with the truth in the open. You know, it seems odd that in today’s day and age, anyone would have to apologize for their sexual orientation. She should not have felt the need to apologize for it, and if people can’t handle it, that’s their problem. 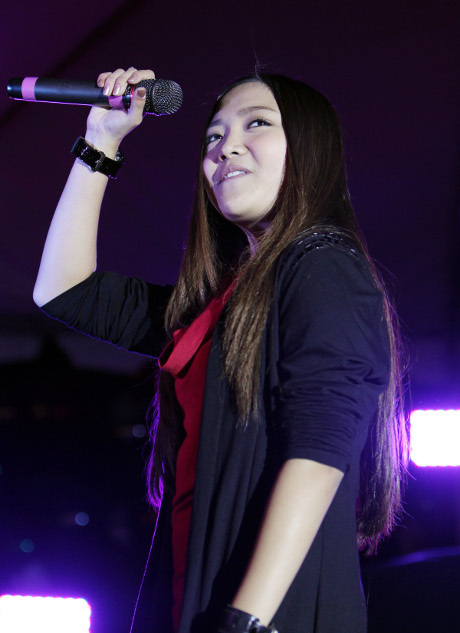 Charice remains as talented as ever, and that’s not going to change because she’s a lesbian. She’s already had to face plenty of tough circumstances in her life, and she shouldn’t have to worry about some idiotic fans turning on her. Katie Holmes Dating Luke Kirby But Terrified to Make the Relationship Hollywood Official!